The site for the Canadian Sport For Life initiative. 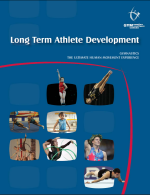 A multi-sport approach to Long Term Athlete Development - resources for parents and coaches. Smartmoves: Subscription based on line lesson planning tool. 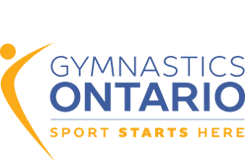 Gymnastics Canada - rules and event information for National levels of competition for all gymnastics disciplines. USA Gymnastics - Get updates and errata for the compulsory and optional JO (Junior Olympic) rules for Women's Artistic Gymnastics (WAG). OCP regulations, clarifications and bulletins still in effect. The Coaching Association of Canada - look up NCCP #, resources for parents and coaches. FIG - International Gymnastics Federation is the non-for-profit governing body for seven gymnastics disciplines worldwide. IFAGG - International Federation of Aesthetic Group Gymnastics is the worldwide authority on all matters relating to Aesthetic Group Gymnastics. For over 40 years, SA Sport has been one of the most trusted gymnasium and sports equipment manufacturers in North America with headquarters in Orillia, Ontario.